People make friends in any kind of situation. But only some of them last forever. The one that is tested by time, by endless grief, pain and struggle you will be happy to have never had a chance to experience. 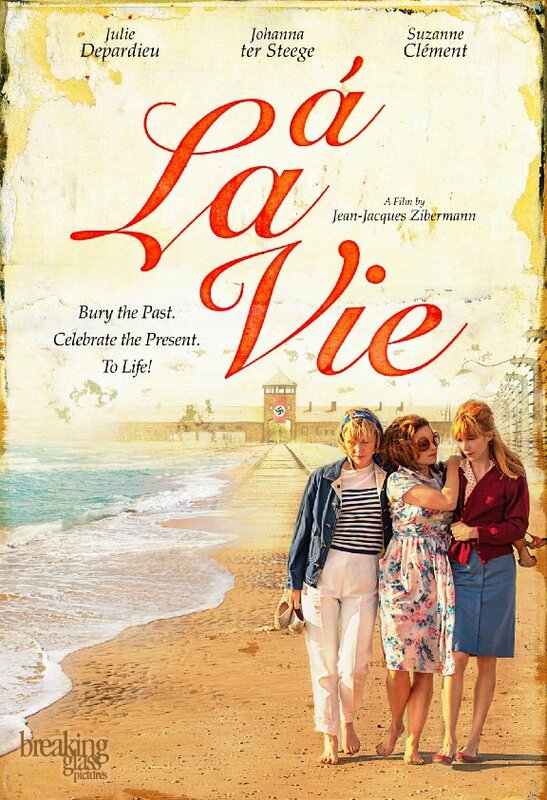 À LA VIE or TO LIFE tells a real life story of three women who find each other after surviving the Holocaust. It happened that this is a second film this week I am watching about Auschwitz, but the first time with a smile on my face. Helen, Rose and Lili have gone together on a difficult path, while they find themselves imprisoned in Auschwitz. Managed to survive, the three friends ended up in different parts of the world, until the moment when Helen decided to correct that by looking for the two people who helped her to survive during one of the most difficult parts of her life. When the reunification happens in Berck, France, in 1960, the three friends finally get a chance to celebrate their freedom, happiness and being simply alive. However, soon the dark side of their past seems to be still there, keeping each of them as a hostage of time. Helen loves her husband in spite of his trouble with satisfying her “needs”. Yes, the Auschwitz leaves a great mark in Helen’s life, but so does with Rose as well. But the appearance of a young man from the beach named Raymond changes Helen’s life and gives an opportunity to her friends to once again to be reminded what life is about. As you watch the film, you try to understand the filmmaker’s attempt. However, no matter how sensitive you can be towards such an important story line, the screenplay fails to deliver that. And when that kind of a gap appears in the script, even an ensemble of great actors and filmmaker can’t cover that up. Even though the film itself never appears boring and moves incredibly fast, it’s a heartbeat that you find impossible to hear throughout the film. In conclusion, À LA VIE is not a bad film at all. It may not touch your heart deeply, but it does slightly which is more than any other film ever does. While there is no complaint about the performance, it’s upsetting to see how poorly such a great story was written. I am not here to convince you not to watch it, but rather leave it up to you to decide whether to do it or not. But either way, it won’t be a waste of time. Because it touches life and friendship the way it makes you think about it. After all, every human story is important whether we like it or.